Rosso Service is Maryland's premier Maserati repair center. Factory certified Master technicians. Schedule your Maserati maintenance major service or routine maintenance or repair today! From basic repairs to full Maserati restorations, Rosso Service is Maryland's best Maserati repair shop. If your Maserati has been damaged or has components that need to be repaired or replaced, in most cases you will need a repair center with specialized training, tools, and certifications to properly service your car and get it back to proper working order. At Rosso Service, our Maserati repair technicians have factory training and masters certifications from Maserati, meaning we have the experience and expertise in Maserati repair where other auto repair shops fall short. As exotic car owners ourselves, we understand that when it comes to such a rare, high-performance automobile no ordinary mechanic will do. Such a machine deserves so much more than a one-fits-all approach to care. Those fortunate enough to own a Maserati trust only a Maserati-certified and trained service technician. Someone who has been so thoroughly schooled in the fine and detailed workings of a machine such as your Maserati, that there’s no question he or she knows your vehicle inside and out. Don’t trust the maintenance, care and service of your spectacular automobile to just anyone. 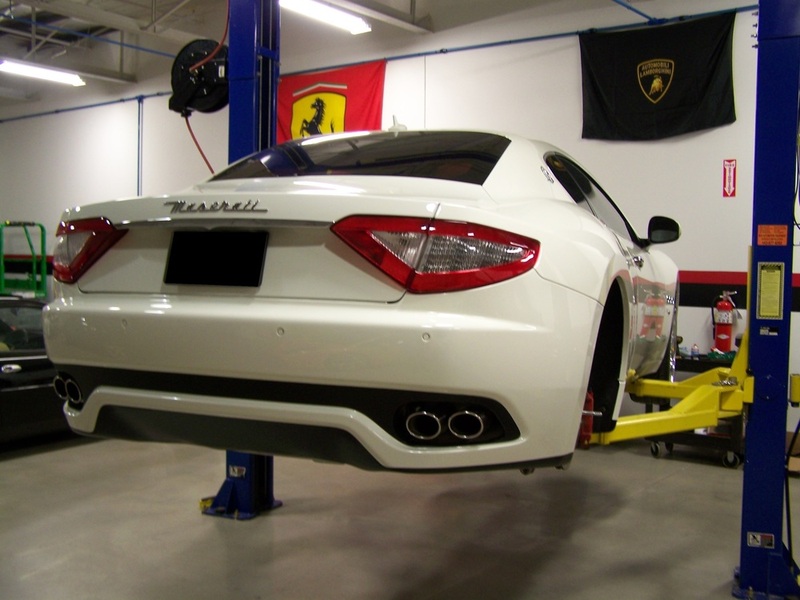 Rosso Service employs mechanics who specialize in Maseratis-from routine maintenance, to precision repair. Respect for the machine is an absolute in our service and repair technicians. We’re the number one Maserati -and luxury high-end automobile repair specialist in the state of Maryland. When you have an automobile like your Maserati, you don’t want to leave such a machine parked in the safety of your garage, only going out for “special occasions”. Your Maserati demands to be driven and offers such a perfect ride, you want to take your powerful automobile out on the road often. Occasionally, in addition to regular maintenance, you’ll find your automobile needs repairs. Whether you need service on components specific to your vehicle’s operation, parts required for performance, electrical and computerized elements, or simple mechanical repairs, you’ll need the Maserati-specific mechanics of Rosso Service. Rosso Service technicians are also adept at bodywork and restoration. Repairs of this nature are significant, regardless of the damage. Again, the integrity of your Maserati depends upon the skill of the repair person. Trust Rosso Service to perform body restoration repairs on your exotic automobile. When your Maserati is in need of service or repair, you can’t trust just anyone to do the work. There are plenty of service shops dealing in luxury and exotic cars, providing everything from oil changes to restoration. But only Rosso Service understands your need for a true Maserati specialist. As Maryland’s premier Maserati, and high performance luxury and exotic car specialist, count on Rosso Service for all your Maserati repair needs. If you are looking for Maserati repair in Maryland that you can trust, give us a call or fill out a contact form today to discuss your needs, or schedule an appointment for your Maserati repair service.